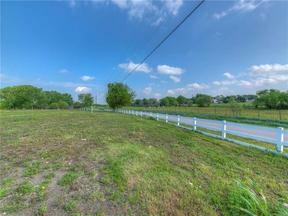 3.782 of Prime acreage Located in Heart of Round Rock! Rare acreage in middle of city w/City Water &Sewer taps, Electric & phone available, Equine community. Flood Zone X, Zoned SF2, NO HOA Develop up to 9 residential lots, or build a home w/other zoning potential. FULL UTILTY STRUCTURE. Developers welcome. Seller Finance avail.